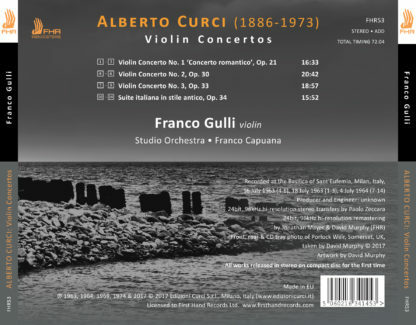 This reissue brings together for the first time, in newly remastered hi-resolution transfers from the source tapes, the Edizioni Curci stereo recordings of Italian composer Alberto Curci’s four works for violin and orchestra. 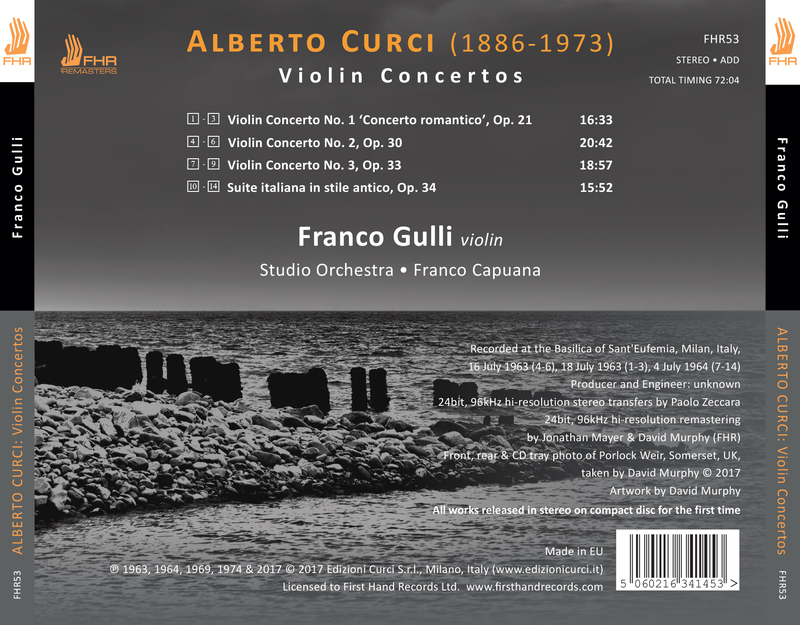 These four superb performances by one of the great Italian violinists, Franco Gulli, appear on CD for the first time in stereo. The anonymous orchestra, conducted by Franco Capuana, is almost certainly made up in the main of members of the Orchestra del Teatro alla Scala. Curci’s concertos are delightful melodic works, some with folkloristic elements. 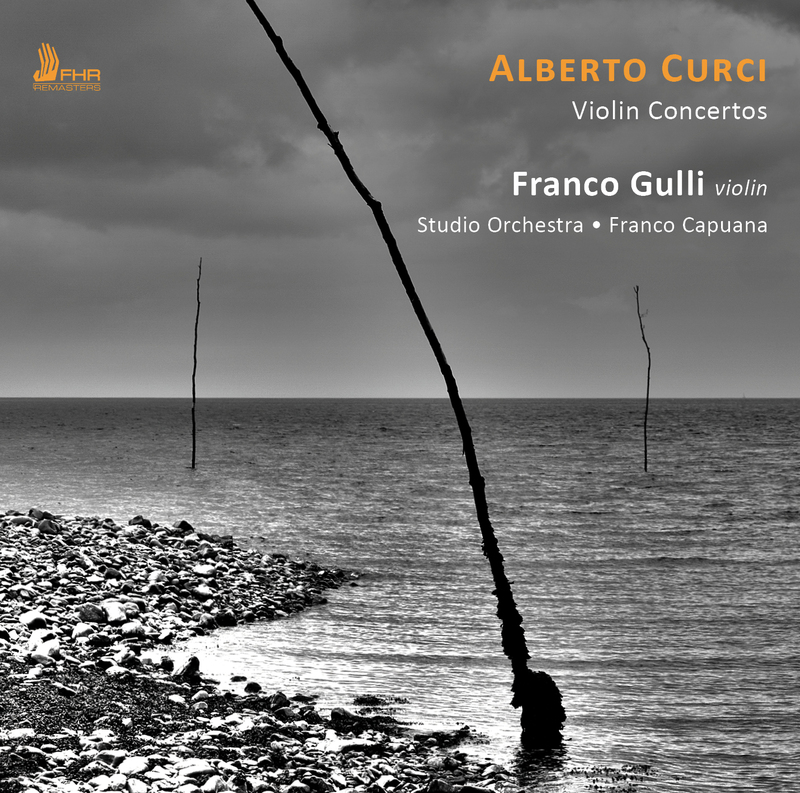 Although rarely heard, these are beautiful and always lyrical passionate compositions for solo violin and orchestra. 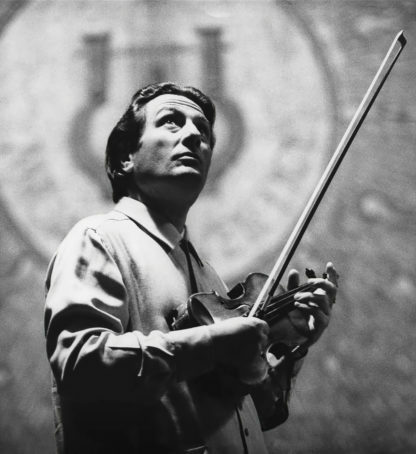 For half a century Franco Gulli (1926-2001) was one of the world’s top violinists, a noble ambassador for the Italian string style and a superb musician. One of the most engaging aspects of Gulli’s artistry is a profound feeling of intellectual rigour and understanding. He had a brilliant career, was an influencial teacher and his discography is large covering many genres.